Here's my latest internet purchase from Scrapbook Takeout. I love the creativity of the owners, love how they work internationally with one another...they are a testament to true friendship. I love anything and everything 7Gypsies...plan on using this stuff for my Annual All About me Album (Journaling the daily activities of April 2007). 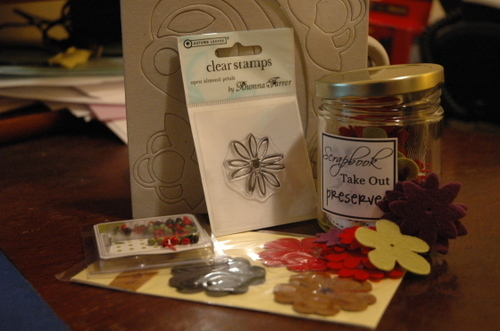 I got this preserves kit for a friend's farewell album...been on the hunt for felt flowers that will compliment her jacket that's in almost every photograph. 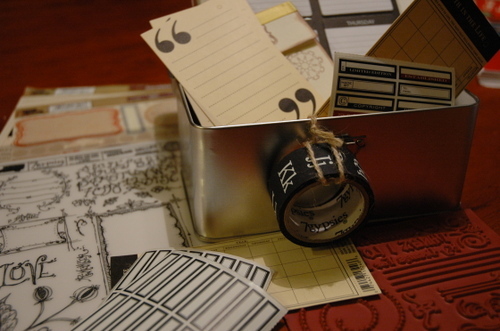 African-American owned Scrapbook Kits available on-line at Color Your Memories. I'm crazy about kits, because someone has taken the pain out of shopping for me. 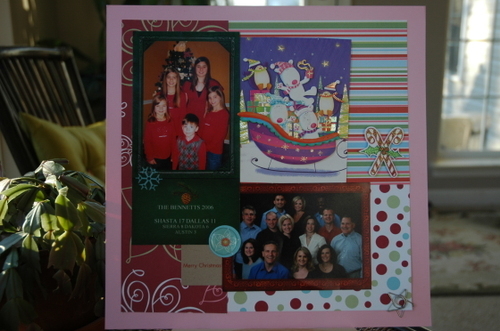 This is the December 2006 kit and I love the non-traditional colors...they still worked with my Christmas photos and cards. 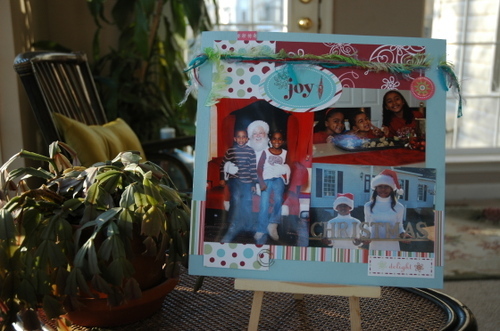 I have a separate Christmas album and these two pages house bits and peices of the cards and photographs we received.